We won’t know until the end of January how many iPhones were sold during the holiday quarter, though most expect the number to be another record breaker for Apple. Regardless, not everyone who buys a new iPhone does so immediately following the release of a new model. For those of you who have yet to make the switch and are planning to unload your old iPhone, we offer this guide. Here we’ll examine what your iPhone 4s, iPhone 5, iPhone 5c, or iPhone 5s is worth. We’ll also take a brief look at the iPhones currently on the market. Whether you have a used iPhone in near mint condition, or one with a broken screen, your handset is worth something to someone. If fact, depending on its condition, the handset might cover the upfront cost of the new one. 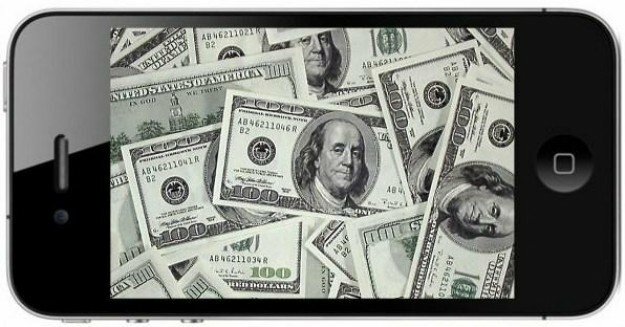 While you can try your chances on Craigslist and elsewhere to get more money, we recommend trading in your handset using a reputable, online site. These include: Amazon, Apple, Cell Phone City, Gazelle, Glyde, NextWorth, and Swappa. You can also try your luck at U.S. retailers including Best Buy and Target. The condition of your device isn’t the only factor that would-be buyers look at when deciding on a price. Older generation devices are worth less than those released more recently. The storage space on your device is also an important factor. Less significant in calculating a price is the color of your iPhone or its carrier. Used iPhones are typically in flawless, good, or poor condition. These terms differ, depending on the site or retailer, although their definitions are similar. A flawless iPhone is still in its original packaging or looks like new. This means no noticeable flaws, scratches, or scuffs. It also works perfectly. A good iPhone has gone through normal wear and tear, with no major scruffs or scratches. It can make calls and connect to Wi-Fi and cellular networks. The poor iPhone is broken, can’t be turned on, or both. It may include a cracked screen, body, or missing parts. For this discussion, we’ll look at the average trade-in values (as of December 2014) for the iPhone 4s, iPhone 5, iPhone 5s, and iPhone 5c. These averages are on iPhones in good working condition. You can expect to receive approximately 10 percent to 15 percent more for flawless iPhones, and up to 60 percent less on iPhones that are broken or are in poor condition. The iPhone 4s arrived in 2011 and is the first Apple handset to feature Siri, the company’s virtual assistant software. This was the last iPhone to feature a 3.5-inch display, and was available with 8GB, 16GB, 32GB, or 64GB of storage space. Apple retired the iPhone 4s in September 2014. What to expect: An entry-level iPhone 4s is worth around $50, while the 64GB model can net you around $70. The iPhone 5 was introduced in 2012 and is the first Apple handset with a 4-inch display. The phone was only available for a year, and came with 16GB, 32GB, and 64GB of storage space. What to expect: The 16GB iPhone 5 is worth around $80, while the higher capacity model is worth approximately $95. The iPhone 5c launched in September 2013 in blue, green, pink, yellow, and white. Originally offered in 16GB and 32GB variances, the iPhone 5c remains available with 8GB of storage space. What to expect: A 16GB and 32GB iPhone 5c is worth just under $100, regardless of storage. The 8GB model is worth approximately $50 as a trade-in. The iPhone 5s was announced in September 2013 and is the first Apple device to feature Touch ID. At its launch, the iPhone 5s was available with 16GB, 32GB, or 64GB of storage space. In September 2014, the 64GB model was discontinued. What to expect: The iPhone 5s is worth around $200, although prices tend to fluctuate, depending on the site or retailer. Shop around to get the best price. Unlocked price versus base price: In August 2014, President Obama signed the Unlocking Consumer Choice and Wireless Competition Act into law. This means that an iPhone can be set to work on another network, assuming that certain criteria are met. To unlock an iPhone, the handset will need to have been paid for in full and not reported lost or stolen. 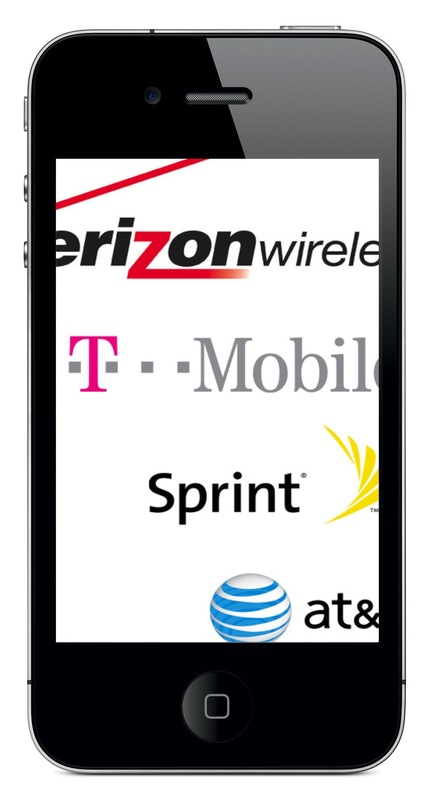 AT&T and Verizon use an online system to unlock phones. T-Mobile does too, but users can’t request more than two mobile device unlocks in the span of a year. Sprint iPhones can’t be unlocked. Unlocked iPhones are worth a little bit more than those which are not. Keep this in mind when selecting a buyer. Carriers love to buy old handsets, especially those in flawless or good condition. This doesn’t mean that they offer the best trade-in prices, however. The only time you should consider trading in an old iPhone at a carrier is when you also plan on making a purchase. Otherwise, we suggest looking elsewhere for a better deal. Good tip: The best time to trade-in an old iPhone at a carrier is right after Apple releases a new handset, or around holidays. You may also see higher prices being offered when a major Apple competitor releases a new handset. Think Samsung, LG, or HTC. Another tip: Carriers don’t want to lose customers. If you’re unhappy with the quote that you have received, shop around for a better one. At the minimum, remind the carrier of your loyalty, especially if you have multiple lines. Carriers really don’t want to lose those customers. The No. 3 carrier in the U.S. has been very aggressive as of late in trying to turn AT&T and Verizon customers into their own. Even if you aren’t planning on upgrading, see what the carrier can offer if you switch. You might be surprised. Companies like Best Buy and Target typically offer gift cards on old iPhones. In most cases, this translates into higher trade-in prices, which is great news if you’re unloading your handset for a new one. Before making a deal, however, read the fine print. Sometimes the gift card is only good on a new phone purchase, or has other limitations. There are currently four iPhones on the market: the iPhone 6, iPhone 6 Plus, iPhone 5s, and iPhone 5c. The first two are 2014 models, while the other two were released in 2013. 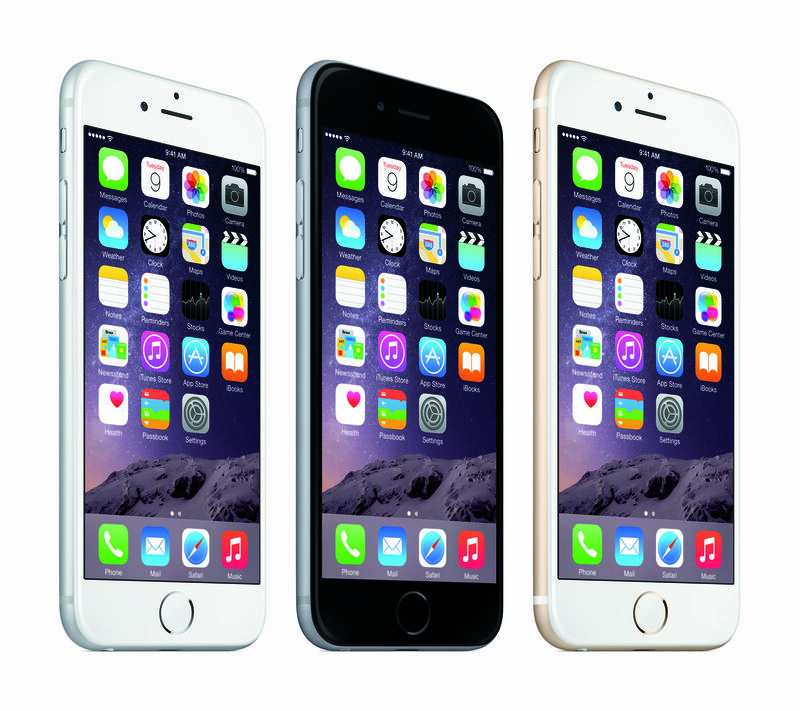 The iPhone 6 and iPhone 6 Plus are the fastest, most feature-rich handsets that Apple has ever produced. They are the first to feature a Retina HD display, and Apple Pay, the company’s new mobile payment system. The main difference between the 4.7-inch iPhone 6 and 5.5-inch iPhone 6 Plus is screen size. The latter also features a camera with optical image stabilization. The iPhone 6 is available with 16GB, 64GB, and 128GB of storage space. With a two-year contract, the phone is priced at $199, $299, and $399, respectively. The iPhone 6 Plus is also available with 16GB, 64GB, and 128GB of storage space. With a two-year contract, it is available for $299, $399, and $499. The 4-inch iPhone 5s features previous generation internals and is available with 16GB or 32GB of storage space. The contract price is $99 or $149, respectively. Though released at the same time as the iPhone 5s, the iPhone 5c actually features internals from a year earlier. In other words, the iPhone 5c is really the iPhone 5, except with a plastic cover. On contract, the 8GB iPhone 5c is free upfront. Ideally, you should purchase an iPhone 6 or iPhone 6 Plus, since these are Apple’s newest handsets. If cost is a significant factor, and/or you don’t want a phone with a 4.7-inch or 5.5-inch display, go with the iPhone 5s. We don’t recommend the iPhone 5c, a handset that is almost certainly going to be discontinued by Apple in 2015. Apple has correctly been criticized for not offering 32GB versions of the iPhone 6 and iPhone 6 Plus. This is especially troubling given that 16GB variations for each device are available. Photos, video, music, and certain games take up a lot of storage space. Apple iOS software updates are also quite large. Because of this we don’t recommend buying the 16GB iPhone 6 or iPhone 6 Plus. Spend the extra $100 on the 64GB models. You’ll be thanking us. Many sites and retailers are willing to buy your old iPhone. Price is determined by the handset’s condition, generation, and storage space. The buyer that you select will be determined by a number of factors. Our concluding advice: Shop around for the best price on your old handset and enjoy your new one.